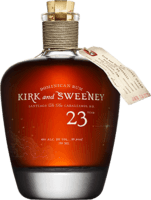 An excellent and fun rum! Smooth and no burn. Very nice. Slight nuttiness, but more of a light spiced cake. Simply enjoyable! 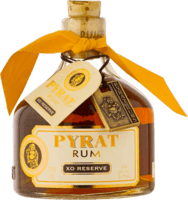 my go to This is my go to rum. No tricks or gimmicks here. Inexpensive. Good to drink straight up. I prefer with a little ice and lime. Rum to ya! Good Cuban Rum In a bar in Ecuador, high in the Andes I, and I alone tried this rum. The sunset over transcendent glacial summits. And I remember a bold hitting rum.